Why Are Cities More Liberal Than Rural Areas? 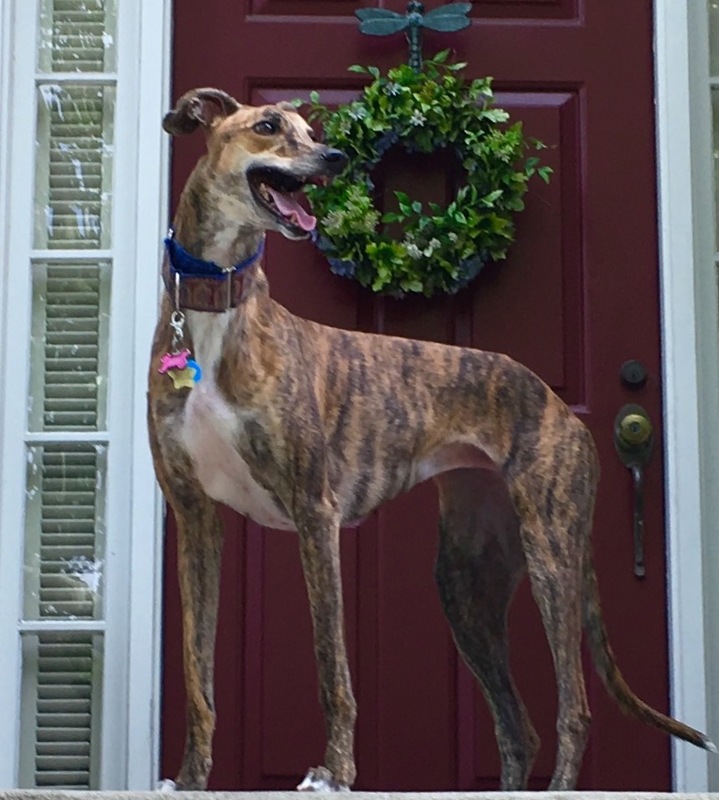 Angel, the greyhound, who taught me something about why cities are so liberal. The data is in and there isn’t any doubt that larger, more urban regions lean Democrat and smaller, more rural areas lean Republican. Of the 56 cities in the U.S. with more than 250,000 residents, only 11 are conservative compared to 45 that are liberal. More interestingly, although those 11 more conservative cities do indeed tend to the right, they only do so “a little bit.” On a scale of 1-10, the rightmost big city, Mesa, AZ, is 4 to the right of center. 26 cities are farther left than Mesa is right. San Francisco is the most extreme, a full 10 to the left of center. Traditionally, researchers have studied demographics to gain insight into the answer to that question. White and non-white, for example. According to Pew Research, more than 1/2 the people in the largest urban centers, which lean left, are non-white. Conversely, 60% of residents in rural areas, which lean right, are white. OK, not any new information in that. What is surprising is the very same Pew project discovered that people with the exact same demographic characteristics hold markedly different political and cultural attitudes depending on where they live. The closer any demographic group is to a big city, the more liberal its views. Most times they are substantially more liberal! So, for example, non-college whites in big cities are more politically liberal than non-college whites in rural areas. On the flip side, rural Hispanics are more politically conservative than big city Hispanics. And so on. Nothing in the list is even remotely political. So that’s not an explanation. Another theory suggests that having a steady job along with lots of opportunity for economic advancement “takes the edge off” cultural conservatism. Cities offer more jobs and more opportunity for economic advancement. People in cities, therefore, are more liberal. I guess that rings true, but I personally don’t find that argument particularly compelling. There’s got to be more to it than that. So I started hunting around for another reason and think maybe Crosby, a buddy of mine, stumbled into something that represents a deeper, stronger force. It starts with dogs. I like dogs, but they seem like way too much work to me. I’ll fool with your dog, but I really don’t want one of my own. Crosby, on the other hand, is a dog lover. He regularly regales anyone who will listen with another story about his beloved greyhound, Angel. A few weeks ago, he was boring a group of us …ummm… I mean telling a group of us how he, his wife and Angel were visiting relatives who live on a farm in Florida. It’s relevant to note that Crosby lives in one of the densely populated Atlanta suburbs. Anyway, Crosby relates how he’s out walking Angel, and due to force of habit, reaches into his pocket, pulls out a plastic bag and dutifully picks up her poop. OK, funny story. But one that provides some insight. In suburban Atlanta – and every other big suburb and city in the nation – there’s a law regarding cleaning up after your dog. Without such laws, and given the massive popularity of dogs, we’d have a serious and significant public health issue. In an area dominated by cow pastures, such a law would be ridiculous, unnecessary and a glowing example of wasteful, annoying government overreach. So… Here we have an example of 5 right-leaning, small government advocates – all of whom grouse regularly about ridiculous, unnecessary, wasteful, annoying government overreach – in total agreement that pooper-scooper laws make all the sense in the world and are a really good idea. Not a single one of us has any inclination whatsoever to mount a public relations campaign to encourage people to pooper-scoop. We all want to and do depend on government to pass a law to deal with the issue. Are there other examples of this phenomenon? Turns out, there’s another one that also affects me directly. Just a few weeks ago, the City of Atlanta passed new legislation regarding motorized scooters. Six months ago, I had never even seen one of these things. Today, there are literally thousands of them all over town. They’re fun to ride, and much more significantly, they actually reduce car traffic in the city. For example, folks can now take light rail from the ‘burbs into town, then grab a scooter to navigate “the last mile” to their offices. Problem is, these things can go as fast as 15 miles per hour. That’s 3 to 4 times faster than a typical walking pace. Bicycles – because of their similar relatively high speeds – have long been banned from city sidewalks to eliminate collisions with unsuspecting pedestrians. The new Atlanta law, among other things, bans scooter-riding on sidewalks. Good idea. As one who does a lot of walking, I applaud the work of the City Council in passing the scooter law. It protects me from the scooter-speeders. Thanks, government intervention! Another problem is these contraptions have teeny-tiny wheels which makes them a bit tricky to control and somewhat unstable balance-wise. Riding one of these things on a busy city street is quite literally hazardous to your health! Especially if the rider is a bit wobbly to begin with. As a driver, bicycles are relatively easy to spot. Scooters, not so much. From a distance – even pretty close up – a scooter-rider looks exactly like a pedestrian. But… As I’ve noted, they’re moving way faster, so the probability of misjudging speed on the part of motorists skyrockets. The odds of a vehicle/scooter collision are scarily high. Which leads me to Grady Hospital where a lot of bleeding scooter-riders have been showing up lately. It’s a public hospital funded primarily by Fulton and DeKalb county tax dollars, with a little bit of help from the suburbs and the state of Georgia. Atlanta, by the way, is in Fulton County, and DeKalb County lies just to the east. Who’s going to cover the added Emergency Room costs caused by the no-scooters-on-sidewalks law? The other cities and towns in Fulton, DeKalb and other metro Atlanta counties contend that it’s a City of Atlanta problem. “That’s where all the scooters are,” they say. “No,” says Atlanta, “A significant percentage of the bleeding scooter-riders in the emergency room are commuters from the suburbs.” So now the city is wrestling with all the metro counties over whose taxes pay for what. Atlanta is also wrestling with the state government. Cities like Thomasville in south Georgia, and Jasper in the north Georgia mountains, rightly tell the state that none of its residents commute to Atlanta, and that the city already gets WAY too many of their rural tax dollars. This is just one example. The humble scooter invaded Atlanta, caused an uproar, prompted legislative action that makes all the sense in the world, and generated a rippling tax-increase effect across the entire state! The folks in Jasper and Thomasville think paying for motorized scooter control is ridiculous government overreach. Atlanta residents – even small government advocates like me and my buddies – see it as a logical, necessary government activity. For my entire life, up until 4 years ago, I have lived in small towns and fairly distant, lightly populated suburbs. Until 4 years ago, I was utterly oblivious to the need for pooper-scooper and motorized scooter laws. Had I been aware of such legislative action, I know for a fact I would have perceived it as gross government overreach. I would have railed against wasting one penny of government money or one minute of government employee time on such nonsense. Today… I’m quite pleased that stepping in dog poop and getting hit by or hitting a scooter are non-issues. Thank you government intervention. Police Protection: In big cities, police response time to 911 calls is measured in minutes. Good! I want that! In rural areas? Well, good luck… The cost for that kind of response time would be astronomical. A bit of “rugged individualism” makes a whole lot more sense. Transportation: Cities like Atlanta have a lot of traffic. Public transportation makes sense. For small, rural towns like Jasper & Thomasville? Not so much. Keep the government out of it. The Homeless: When I lived in Quakertown, PA, with a population of 6,000, it was a total non-issue. Today, San Francisco is “home” to somewhere around 7,000 homeless people. More than a whole Quakertown-full of them! In that city, it’s not just stepping in dog poop that’s a problem. There’s also another kind of poop to contend with. If I lived in San Francisco, I’d want the city government to address the homeless situation with legislation. Purely and simply there are many, many issues large and small that would totally overwhelm any individual in a big city. Funding the government with tax dollars genuinely is the most efficient and effective approach. The big city dweller is continuously and relentlessly conditioned to accept – even desire – government intervention. Smart, ambitious people get into the required government jobs, do great work and earn respect. A feedback loop reinforcing government intervention gets going. City folk get nudged to the left. The exact same issues are just not anywhere near as intense – or even visible – in rural areas. Funding the government with tax dollars to deal with minor, mostly un-perceived issues is wasteful and ridiculous. There aren’t that many government jobs. Residents get used to dealing with pretty much everything on their own. A feedback loop reinforcing self-sufficiency gets going. Rural folk get nudged to the right. I’m your Intentionally Vicarious host Todd Youngblood, realizing that I haven’t totally answered the “why cities are more liberal” question – but understanding now why city folk more readily invite and embrace government intervention. And also knowing that figuring out the rest of the answer will help me have more fun than anyone else I know. You missed the payola factor, I saw it online five years ago, that red states account for more federal subsidies than blue states. Farm welfare? Cry, cry, cry.